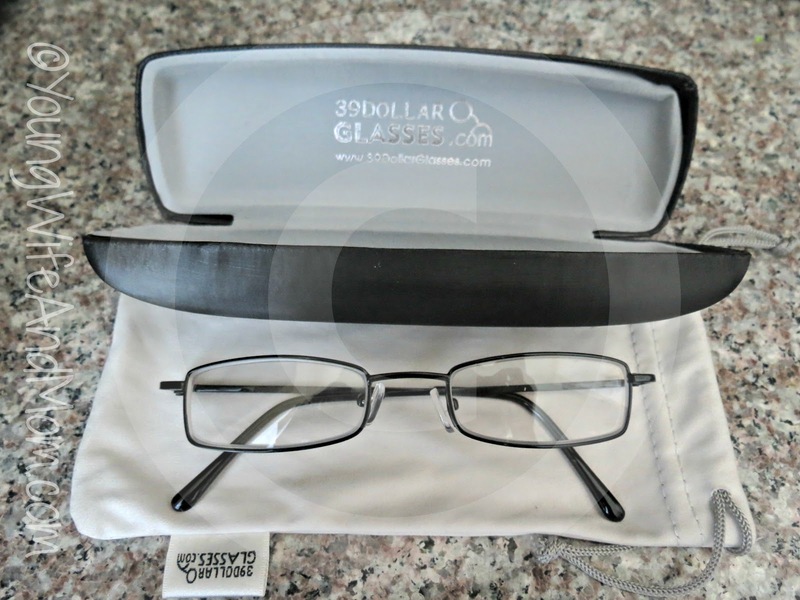 Back to School with 39DollarGlasses.com: Review + Giveaway! For many families, the kids are getting ready to go back to school, if they haven't started already. It's also the time of year when many get new glasses for themselves or their children. Glasses can be very expensive, especially if you don't have vision insurance. 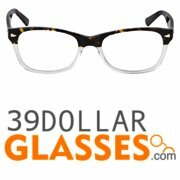 I was contacted by a discount eye-wear company called 39DollarGlasses.com to see if I would be interested in doing a review of their site and discount glasses. I had never purchased anything like it online before. Just as the name indicates, prices for complete glasses start at $39. There is such a great selection of glasses that it really was hard to pick my favorite one. I finally chose the Gramercy in black. They arrived within the next week and looked awesome! I've been wearing them for about 2 weeks now and they fit comfortably. What I like most about these glasses are that they have Transitions lenses, an add-on made available to you at a discounted price! I have to wear my glasses all day, everywhere I go so sunglasses are not an option for me. The total price of these glasses with the Transitions add-on were significantly LESS than I paid for a pair of "on sale" glasses with regular lenses at a department store! I did not realize that it could be so affordable. So parents you can find affordable Transitions lenses for yourself and your family. If transitions are not for you, they also carry a great line of discounted sunglasses as well. Ordering was really easy. I contacted my optometrist and asked for my prescription from my last visit. They gave it to me over the phone and I clicked over to eye-wear site. 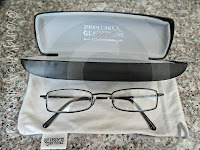 Once I found my glasses, filled in the prescription information and completed the checkout process my glasses were on the way. The SmartFit Technology which allows you to your prospective glasses on different face types or upload your own. NOTE: I did have to contact customer service after I received my glasses. I went to try them on and could not see out of one of the lenses. The woman who assisted me was very friendly and knew exactly was wrong - my prescription had been entered incorrectly. She immediately had another pair of glasses sent out to me and emailed me a return slip. Everything was fixed and I received the new glasses a few days later. And I LOVE these! Defintely recommending them to family, friends, and readers! Shatterproof polycarbonate lenses for all kids glasses, the #1 kind recommended for children. Disclosure: The sponsor sent me a pair of glasses for the purpose of review. All opinions are mine and were not edited in any way. 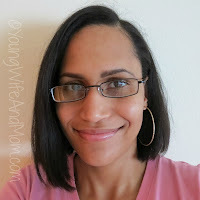 COUPON & GIVEAWAY: 39DollarGlasses.com has a coupon code for 10% just for YW&M readers. Use coupon code "YwaM12" at checkout! They also want to give away one pair of prescription glasses or sunglasses (up to $75.00) to one lucky reader! To enter, follow the instructions in the form below. US and Canada Only, 18 and older.